Small Tree: 6m, sometimes more. Flowers: Numerous clusters of tubular flowers growing directly out of the trunk and branches. 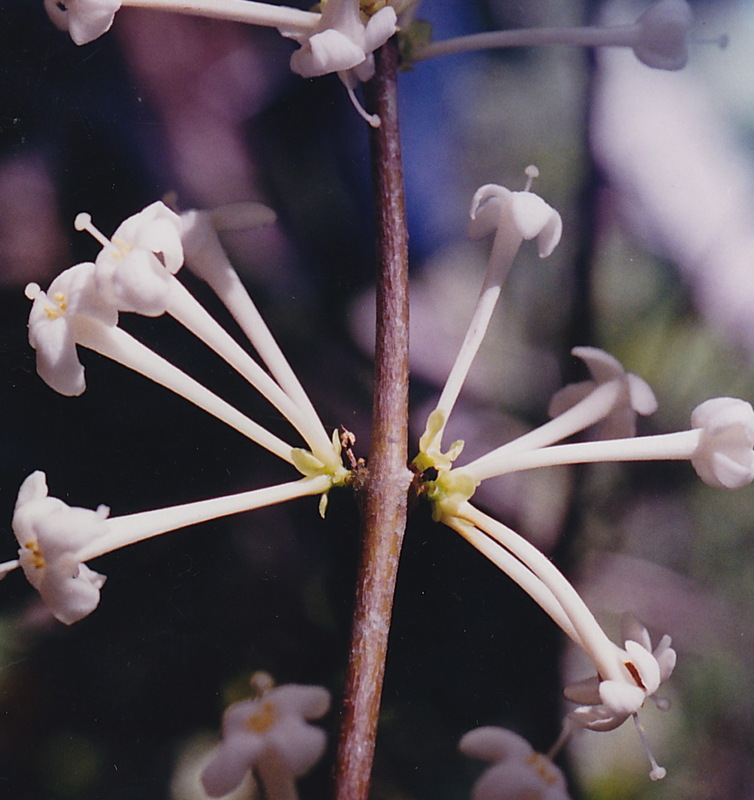 The sepals are white to cream and up to 4 cm long. Said by some to be ‘pineapple scented’ or ‘coconut scented’. Seeds: Fleshy, red, egg-shaped fruits. Fruit eating birds relish the glossy fruit. The flesh of the fruit is stringy and reputed to be poisonous to humans. Cauliflory is a botanical term referring to plants which flower and fruit from their main stems or woody trunks rather than from new growth and shoots. This can allow trees to be pollinated or have their seeds dispersed by animals which cannot climb or fly. *Stepping out of comfort zones and facing ones fears. *Excellent when feeling trapped in a corner with limited options. *Gets people unstuck when they are procrastinating and going round in circles, or stuck in old behaviours. *Just place the bowl of water near the plant and ask that the deva of the plant to transfer the healthy vibrations of that flower to the water.